But on Saturday morning, plumes of smoke blew from two houses, amid heavy gunfire, as three militants remained trapped inside a two-storied mud and brick house in Saimu. 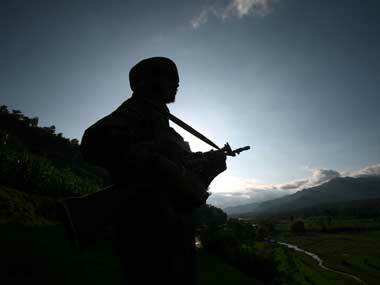 The militants, according to police sources, had entered the house after firing at the patrolling party. The search and combing operations were going on at the time of writing this report, and the two houses where the trio was putting up one last battle had been reduced to rubble. Desperate attempts were made by the villagers to save the militants, and police had to throw teargas shells to disperse the crowd before dusk. As gunfire raged, dozens of villagers tried to march towards the encounter site, but forces fired teargas shells and pellets to break up the protests in Rathsun village, a few hundred metres from the site of the gunfight. Dozens of civilians were injured. Senior police officials told Firstpost that it was a "great achievement". 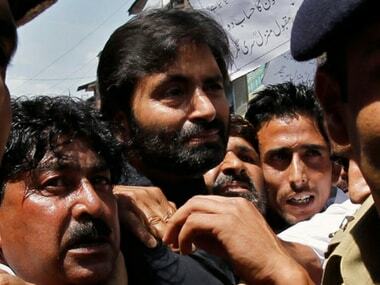 "His death will break the back of the insurgency in south Kashmir. 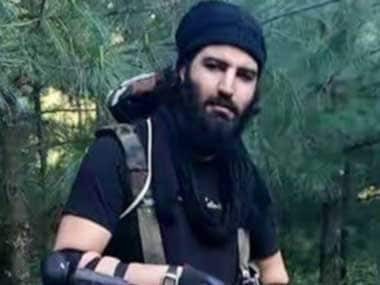 Zakir Musa is a paper tiger; he (Sabzar) was a real threat and an important target," a senior police official told Firstpost near the encounter site. The security forces pointed out that 26-year-old Ahmad, a resident of Ruthsana village in Tral, was the brain behind utilising social media as a tool to attract young boys towards militancy. He was marked as an 'A-category' militant. Tral is a bowl of small hamlets on the foothills of the vast terraneous mountains, 11 kilometers from National Highway 1A, which connects Srinagar with the rest of India. It is a picturesque village known for breathtaking green mountains and lush green forests, and its freshwater streams are a perfect attraction for tourists. But in recent years, it has achieved notoriety for being a hotbed of the renewed face of insurgency in the state, although sparse but deadly. Ahmad, who succeeded Burhan Wani, was given charge of Hizbul Mujahideen's south Kashmir wing in July 2017. Teenager Faizan Bhat, who was also killed in Saturday's encounter, was a resident of the main town of Tral, and had joined militancy in March 2017. 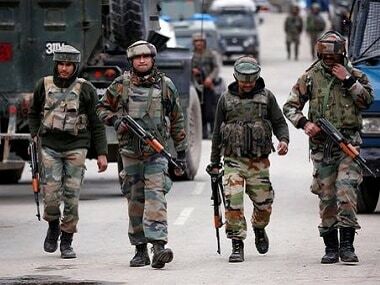 As the encounter raged on, dozen of villagers dozens tried to march towards the site, but forces fired teargas shells and pellets to break up the protests in Rathsun village of Tral, in south Kashmir's Pulwama, hundreds of meters ahead of the site of the gun battle. Dozens of civilians were injured. As news of the Sabzar's death spread, clashes were reported from many parts of the Kashmir Valley, in which dozens of people were injured. 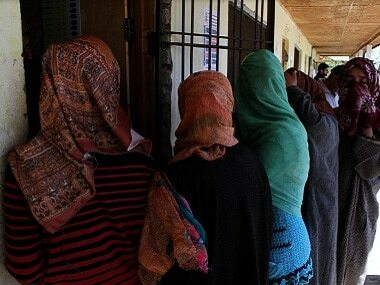 According to hospital authorities, the entire Kashmir Valley has been shut. Protests were reported also from north Kashmir. Police is yet to retrieve the dead body of the third militant, which could be buried under the rubble of the two houses, which were destroyed in the fight.